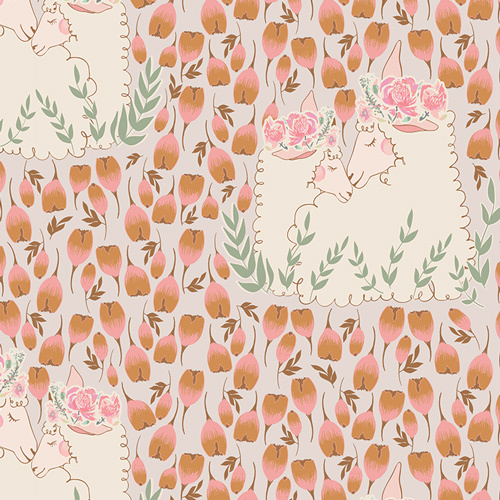 This 44" wide cotton print fabric features beautiful floral designs and hidden sheep. Perfect for quilting apparel and home decor accents. Colors include white seafoam brown orange chartreuse mint and shades of pink. Multiple yards:Fabric will be cut in one continuous piece.